It’s easy to see a child’s education as a path determined by grades, test scores and extra curricular activities. But genuine learning is about so much more than the points schools tally. MindShift explores the future of education by investigating innovations and issues that are shaping how kids learn. Emotional safety, trust, and relationships: this season, we investigate the intangible, and often overlooked, elements of academic success. You’ll hear how teacher home visits can help parents see themselves as a valued a partner in their child’s education; how far a public high school goes to develop an inclusive experience for the crucial transition to ninth grade; how parents and schools can address childhood trauma so it doesn’t become an obstacle to learning, and what parents and communities can do to help kids grow. 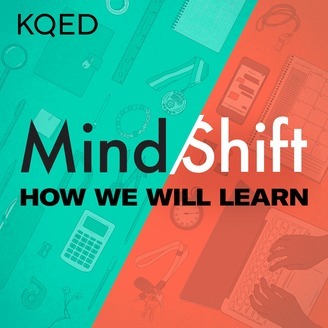 This podcast is part of the MindShift education site, a division of KQED News. KQED is an NPR/PBS member station based in San Francisco. 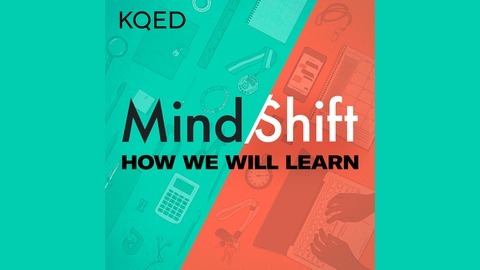 You can also visit the MindShift website for episodes and supplemental blog posts or tweet us @MindShiftKQED or visit us at MindShift.KQED.org. On a sunny day in early June, 12 young people received their high school diplomas at a moving ceremony at the Oakland Museum of California. Graduations are always full of emotion and excitement, but this one was a little different because these young people dropped out of high school, but came back to get their diplomas. The friends and loved ones gathered to celebrate their achievement knew exactly how hard they had worked for this moment and the obstacles they’d overcome. They are graduates of Civicorps Corpsmember Academy, a program for 18-to-26-year-olds who have recommitted to getting a diploma despite a range of academic experiences. Some come back to school at a fourth-grade level, while others are just a few credits short of graduating from their original high school. No matter their level, Civicorps focuses on supporting their physical, emotional and mental health needs in addition to coaching them academically. “High school dropout is a label I’m thankful to tear off me as a person,” said Jeremy Ward during his graduation speech. For many of these graduates, getting a diploma felt like an insurmountable challenge. About 40 percent of Civicorps students are homeless, some have been involved in the criminal justice system, and others are young parents, all barriers to completing their degrees. At Civicorps, they participate in outdoor conservation work, doing things like clearing brush and maintaining trails for the regional parks, while completing their academics. That means they get paid while they’re in school, often an important requirement for people who have to support themselves and their families.